Spanish home sales increased by 14 per cent in November, but average prices declined by 1.5 per cent, according to the latest figures from the General Council of Notaries. Home sales witnessed by Notaries increased by an annualised 14 per cent to 31,576 transactions in November, though sales were actually up 18.5 per cent when corrected for seasonality. Sales have increased in eight out of the last ten months. 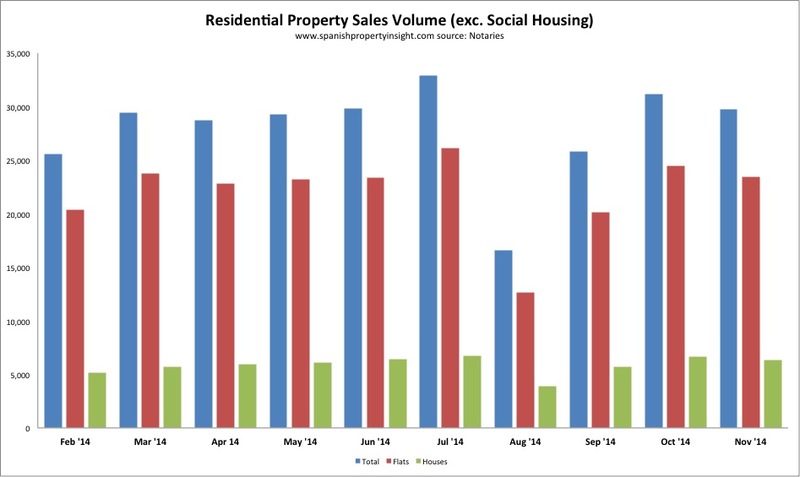 Apartment sales (excluding social housing) were up 21 per cent. Sales of single-family homes were up 12 per cent. Home prices decreased 1.5 per cent to 1,194 €/m2, a cummulative decline of 36.7per cent since the start of the crisis in 2007. 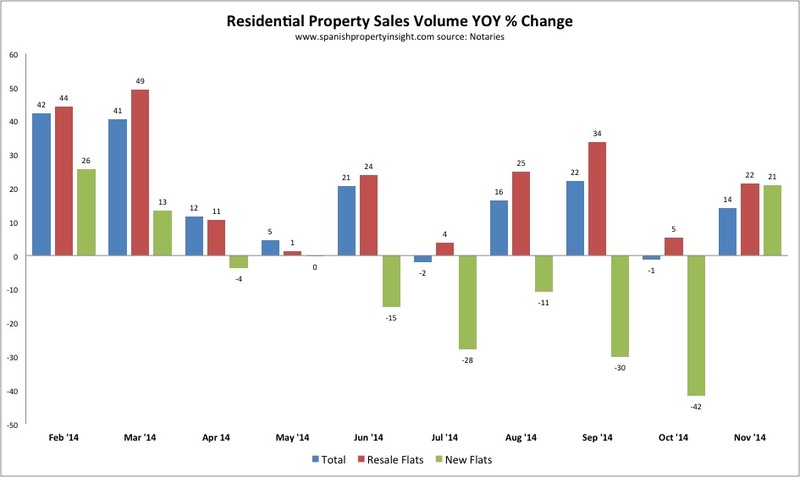 Resale flat prices (excluding social housing) fell 1.3 per cent, new flats by 6.4 per cent. New residential mortgage lending jumped to 12,823 new loans signed in November, up 37.2 per cent compared to the same month in 2013. Residential mortgage lending has grown significantly every month this year. The average new residential mortgage loan fell, however, by 0.4 per cent to €109,022.